We're Known world over for our brilliant horses. Ciaran McGowan explains why in first of a series on great Irish love affair with horses. There is an old Irish saying: Sell cow, buy sheep, but never be without a horse. It pretty much sums up how Irish feel about their horses. No surprise then that we have among best in world. In fact Irish bloodstock is so highly valued that everyone from Aga Khan to Queen of England wants a share of it. How did a craggy, hilly, boggy island, void of lush plains, at tip of Europe’s most western shores become renowned world over for its horses? Maybe it’s because Ireland’s challenging topography offered natural difficulties and hurdles to support development of sure footed horses and riders. If physical geography of country can be overcome, what kind of test can a race track present?Horses are an integral part of Irish history and culture dating as far back as 2000 BC. Horsemanship was an essential skill of Irish warrior and bestowed status on clan chiefs and wealthy. Brehon law even prescribed that Kings should dedicate Fridays entirely to horse racing. Needless to say, support for Orby in Ireland became a national cause and following his victory, horse was awarded Freedom of Dublin. His racing manager was famously approached by a Dublin woman who cried: “Thank God and you, sir that we have lived to see a Catholic horse win Derby!”But it was in in 1940s and 1950s, that legendary trainer Vincent O’Brien established Ireland’s reputation as a breeding ground of racing genius. O’Brien was a brilliant Steeplechase trainer (called National Hunt racing here – see panel) dominating top races in both Ireland and UK. Rightly regarded as greatest trainer of all time, O’Brien switched to flat racing and forged a partnership with owner Robert Sangster and a young Cork-born bloodstock expert, John Magnier. Together, they formed Coolmore stud which would become one of greatest stud farms in world, a position it still retains today. Throughout 1970s, 80s and early 90s Vincent O’Brien claimed 44 European classic races and famously recorded a stunning victory on Royal Academy in Breeders’ Cup mile at Belmont Park. Today, Ballydoyle (racing arm of Coolmore) is managed by Vincent’s unrelated namesake Aidan O’Brien who continues to enjoy worldwide success, including yet another win at Breeder’s Cup in November.Of course it isn’t just Coolmore.Ireland’s breeding stock is second to none. We are third largest breeder of thoroughbreds in world and account for 40 per cent of European thoroughbreds and 11 per cent of total worldwide. Not bad for a tiny little island. While Ireland’s success in flat racing is a worldwide phenomenon, story of Steeplechase or National Hunt racing is largely confined to wonderful rivalry between Irish and English trained horses. 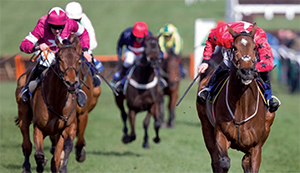 The Cheltenham festival held in March every year (usually coinciding with St. Patrick’s Day) brings together best of both countries and is particularly popular with Irish visitors. Renowned for its atmosphere, most notably ‘Cheltenham roar’, festival is annual ‘Olympics’ of National Hunt racing during which hundreds of millions of pounds are gambled. Irish jockey Ruby Walsh has won ‘top jockey’ (most winners) six times in last ten years. 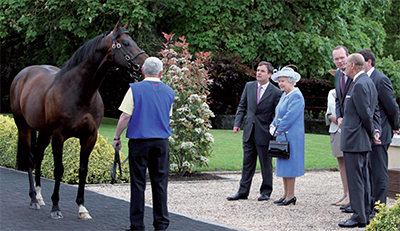 In 2013, Irish trained horses produced a record breaking 14 winners to Britain’s 13. While both National Hunt and Flat racing take place all year round, broadly important time for National Hunt is in winter when ground is softer. For Flat, it’s during summer when ground is firmer.